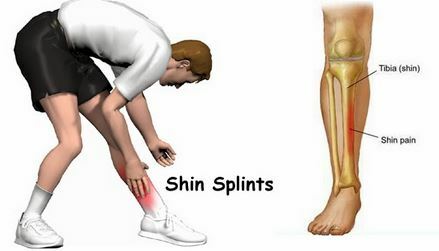 What is the best solution for SHIN SPLINTS? They are miserable!! They say walking backwards on a treadmill helps but I just find that they go away in time. Nothing you can really do to get rid of them. If you find something please let me know! I tend to get them a lot. One of the best stretches I found for shin splints is turning your foot down so that the top of it hits the ground and lean into it. Other than that, just time and maybe Epsom salt. Mine eventually did, but I ran with lots of pain for about 6 months nor so. You need better shoes, haven’t had any issues since I got the right shoes. Mean while ice and wear a support sleeve helps a lot. I get then when I need new sneaks or if I have increased my distance too much too fast. Compression socks help, stretching your calve muscles, massage and KT tape have all helped me with mine. Oh and the right shoes. I have been dealing with them since February! I ice, massage with a rolling stick, and stretch! They are better, but not completely gone. I didn’t run at all for about a month, and I am only running about 3 times a week with low mileage! I had gotten up to 9 miles in my training so this has been a major setback. I also ordered the CW-X target compression socks! I love them! The right shoes completely eliminated mine. They are miserable!!!!! I ran off and on for 4 years with them:( I would have to take months off of running to heal them! Stretches and more water works for me. I notice I get them after running on hard pavement. Ice, tape them. I have them and am a week away from a full marathon. I find that once I get past the pain of a few miles it eases up and is gone until I am done running! Also, make sure your shoes aren’t worn out. Here’s a simple move you can do while at your desk. Sit on a chair that’s tall enough to allow your toes to point without touching the floor. Place a two- to six-pound dumbbell vertically in between your feet, squeezing the weight gently to keep it in place. Begin by pointing your toes toward the floor. Then flex your feet and lift your toes as high as you can. This is one repetition. Complete three sets of 12 reps, stretching your shins with the Reclining Hero in between each set. This entry was posted in Pain Prevention and Injury, Question and Answers by Runners and tagged SHIN SPLINTS.